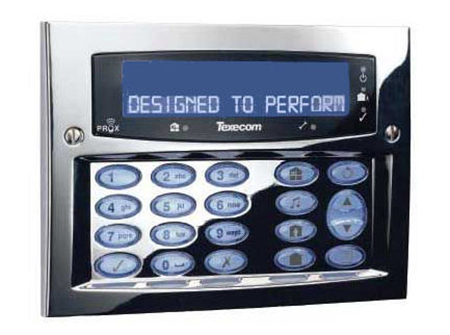 Falcon Electrical Installations Ltd offer exceptional quality and economical Intruder / Burglar Alarm Systems and installations in Doncaster and throughout the South Yorkshire area. With the huge increases in domestic break ins to steal car keys or other valuables, it's never been more important to protect your family and your home. Unfortunately would be thieves have a huge array of portable power tools, as well as the low tech Jemmy Bar, breaking into houses in more and more ingenious ways. Houses that have all their entrances and windows protected via 'Rumble and Circuit Break Detectors' but perhaps do not have any internal movement (PIR) detectors, have the potential of having their UPVC door melted through with portable blow torches, so as not activate the Rumble or Circuit Break detectors. Once in of course they could essentially live in your house whilst you were on vacation! The simple addition of more detectors on vulnerable break in areas can significantly deter would be thieves. All of our engineers have the relevant qualifications and we will happily visit your home to advise and recommend a suitable system. Always use professionally trained installation engineers, that way you know that your security will not be compromised. Most insurance companies ask if you have a house Intruder Alarm and if it is maintained, when it was fitted and so on. If you simply answer YES YES YES, in the event of a break in and subsequent claim,you may find that your claim is disputed especially if you installed the alarm your self via an 'Off The Shelf' DIY solution. Check carefully the wording on your insurance policy and ensure that your Intruder Alarm has been fitted by a industry recognised engineer and is maintained.